Tooth loss is a common experience, and the loss of all your teeth can be troublesome while you search for the appropriate remedy. You should know there are choices available to you for total teeth replacement in Port Arthur. Invest in a permanent solution that can restore both the function of your natural bite and the aesthetics of a healthy smile. At Premier Dental, Dr. Vina Lu is proud to offer All-on-4® fixed teeth in Port Arthur. For more information on this innovative approach to fixed replacement teeth, contact our Port Arthur dental office for your consultation. 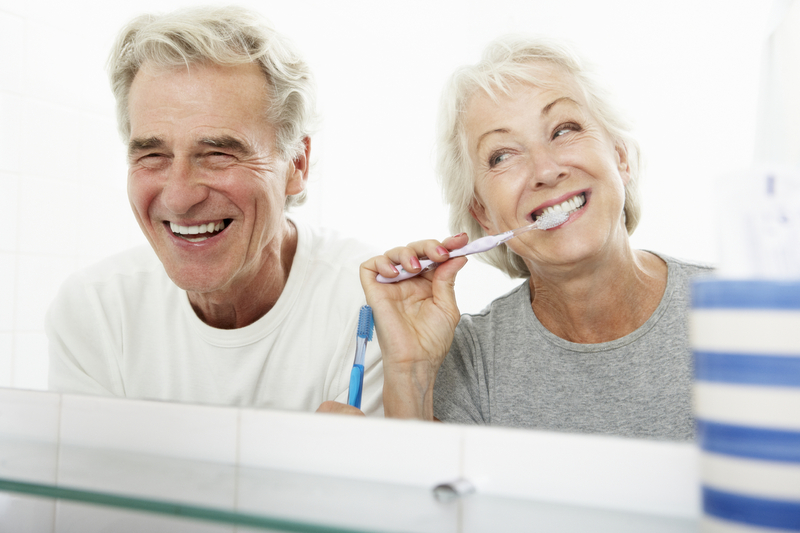 You may already have dentures and are unsatisfied with the limitations and risk of embarrassing slippage that can occur with removable prosthetics while eating, smiling, or laughing. No one should have to restrain the authentic expression of happiness or miss out on their favorite foods. Teeth replacement supported by dental implantation is an excellent choice for complete restoration of one or both arches of lost or failing teeth. Full-arch prosthetics secured by implants, specifically the All on 4 treatment concept, are permanent dental appliances that significantly improve your appearance, health, and quality of life. This innovative method involves inserting the implants at strategic angles, which allows the posts, or replacement tooth roots, to successfully integrate – even for those patients who have lost bone volume. The All on 4 treatment concept expedites the treatment process for replacing an entire arch of teeth, as a bone graft is often not required as pre-treatment. In some cases, for those who have sufficient bone volume to support implants, this method can allow the placement of a temporary prosthetic the same day. This is called teeth-in-a-day and benefits patients who are hesitant to leave our dental office without the appearance of a full and healthy smile. Replacing all missing teeth or failing and seriously compromised teeth with All-on-4 offers highly improved patient comfort, not to mention replicating the appeal of a beautiful and healthy smile. Your new teeth will feel and behave just as your own, natural teeth, with no need to remove and reinsert a bulky set of dentures each day. The appreciation we feel for our patients who have undergone full arch restoration with the All-on-4® method of teeth replacement is only surpassed by the level of confidence they feel after their procedure is completed. If you are struggling with missing teeth, uncomfortable dentures, or have many decayed and damaged teeth, considered fixed prosthetics with All on 4 in Port Arthur. Our Port Arthur dentist is currently accepting new patients. If you are interested in learning more permanent implant bridges, call Premiere Dental Care today.